Spread oats and nuts on a parchment covered baking sheet and toast for 10 mins, occasionally stirring. Add coconut and mix well and bake again for 5-7 mins. Meanwhile, add honey, brown sugar, butter, salt and vanilla in a small pan and heat until brown sugar dissolves. Take off fire and keep aside. It ok if it cools little bit. Mix oats, cinnamon powder and rice krispies in a large bowl. Add the honey mixture and mix well. Grease the same parchment paper lightly with oil and spread the oats mixture evenly. Don’t make it too thick. Return to oven and bake for 25 minutes. Take out and cool till warm to touch. 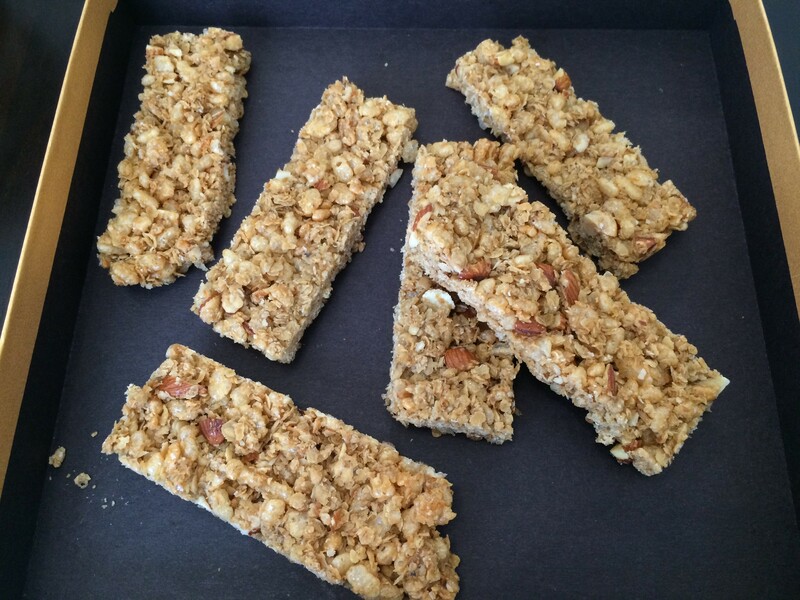 Cut into bars with a serrated or sharp knife. Store in an airtight container when completely cool. Note: After baking for 20 minutes, I switched off the oven and left it inside for 2hrs (oven door closed) The result was very crunchy crispy bars!! 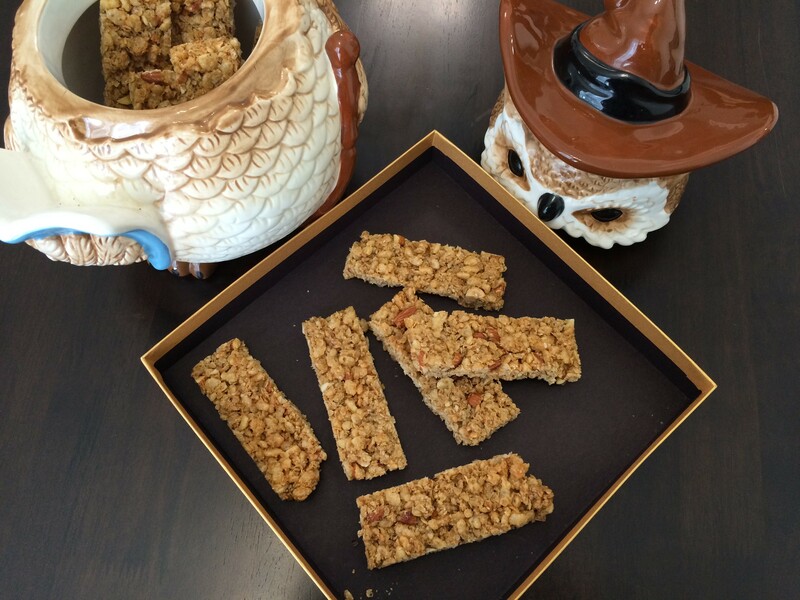 This entry was posted in Cookies/Biscotti/Bars, Snack and tagged crispy granola bars, crunchy granola bars, granola bars, honey granola bars, less butter granola bars by PriyaBaby. Bookmark the permalink.